Here are a range of honey recipes for you to try cooking with honey at home. Clicking on each of the links will take you to a page with several recipes. 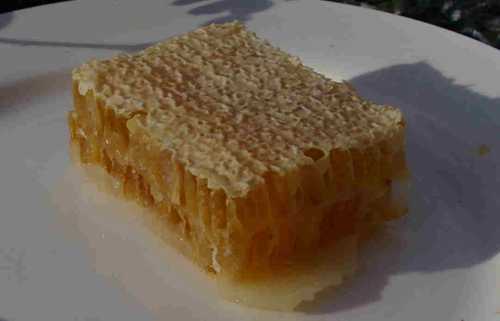 If you are keen to purchase honey, it is better to buy it ethcally, and use it sparingly. Bees go to a tremendous amount of effort to make honey, and beekeepers put in effort to supply it to you. In my view, honey should never be categorized as a cheap commodity. In addition, did you know that in some countries, such as the US, products labelled as honey, may not actually be pure honey: it may be honey combined with other food products, such as corn syrup. This means that whilst you thought you were getting a bargain, you were not buying what you thought you were buying. Please also see my page about buying honey. Personally, I think it's great to try and support a local supplier if you can. Should you decide to use a substitute for honey, such as marmalade, maple syrup or apricot jelly, there are suggestions within the recipes provided, and there is further information about alternatives to honey here. Simple to make, and can be stored in the fridge for a month. Popular classic, especially during the Christmas period. A quick and simple glaze to add excitement to chicken dishes. A variety of glazes for foods, including combinations of mustard, lemon juice, pineapple, soy sauce and more. A range of dressing recipes including citrus, yoghurt, and herbs. Recipes for seasonal treats and tea breads, from the classic recipe to combinations of nuts, spices and brandy. A lovely loaf with a choise of toppings. From Polish Honey Cake, to classic Honey cake - a sweet treat. The oldest alcoholic drink known! Honey has been used for centuries in all kinds of home remedies – and the same goes for cinnamon. Take a look at cinnamon and honey recipes for cholesterol, bad breath and even bladder infections! Said to ease colitis, tickly cough and boils among other things. There is also the Vinegar And Honey Diet. Honey is said to help prevent dryness when used on the hair. Find out how honey can help improve your skin. Recipes containing honey and other ingredients for a range of skin types. What if you are out of honey, have an allergy, or for some other reason, wish to use a subsitute for honey in a recipe you would otherwise like to use? From maple syrup to corn syrup or apricot jelly, here are some ideas. If your honey becomes crystallized, here’s what you can do about it, and why it happens. Learn about why honey bees actually make honey, and how they do it. 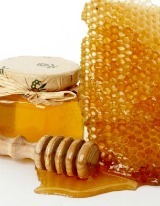 Information about the difficulties in purchasing organic honey.